Are you still confused about why apostrophe use is governed by one simple rule? I have set all this out in a little red book. 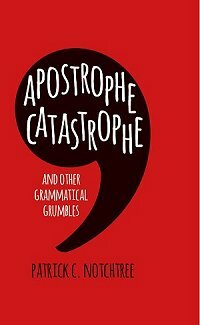 It is called "Apostrophe Catastrophe" published by The History Press . It's available from Amazon and major book shops, as well as some independent book shops. In the book you can read the full explanation of how the simple ONE rule method works, as well as dozens of questions I have answered sent in by readers. If you can't find it locally, major book stores such as Waterstones etc. should be able to order it. I hope you enjoy the little red book and find it enlightening and useful.